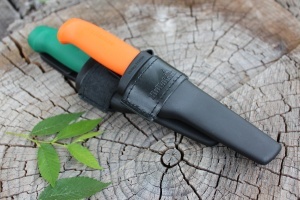 Hultafors Double sheath with the GK and HVK knives. Great idea from Hultafors, the double holster!. 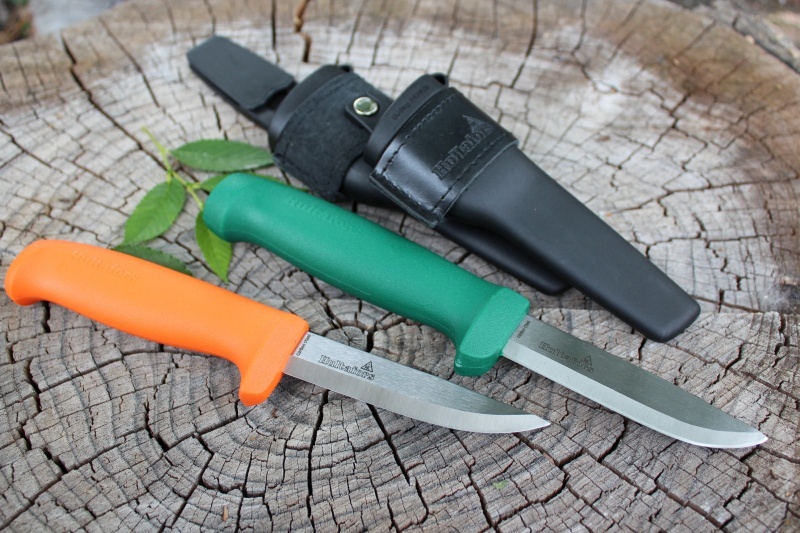 You get both the GK heavy duty knife and HVK high carbon knife in one package. 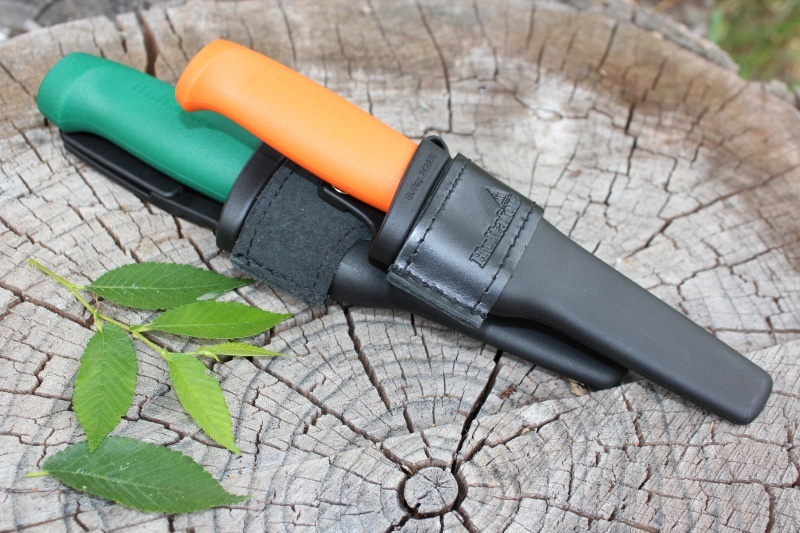 PP sheaths are held together with a leather saddle that means you have access to both knives at the same time. You can pull the GK for the heavy work or the HVK for lighter finer cuts. You get the sheath's, saddle, and both knives. GK..Green PP handle, 3.5mm high carbon blade scandi with secondary bevel. Purchase through PayPal by using the "Add To Cart" button above or use the form below to order the Hultafors Double Holster with GK and HVK . Feel free to contact us if you have any questions about the Hultafors Double Holster with GK and HVK .